This little french cafe is tucked away in a suburban shopping mall and is the last place on earth you would expect to find such magnificent french pastries and sandwiches. Looks can be deceiving and in a city obsessed with coffee, where you can find a coffee shop on every street corner, this cafe stands out in many ways; it makes great coffee, has excellent pastries, wonderful sandwiches, all organic ingredients and above all a charming owner who is very involved in the business and seems to take great pride in what she does. The coffee at Le Rendez-Vous is that wonderful, bitter coffee that you get when the beans are roasted well but not burnt. When I spoke with the owner about her coffee she said she was trying to replicate what she loves about drinking coffee in Italy and I think she has done a fair job of accomplishing this. They have decided to go with coffee from Cafe Vivace, a local roaster, which seems to go along well with the organic nature of her business and who does indeed roast a great bean. The coffee is treated with respect at Le Rendez-Vous and they make excellent cappuccinos and cafe cremes. You are actually able to taste the coffee through the milk which to me is always the sign of a well roasted, pulled and mixed coffee. 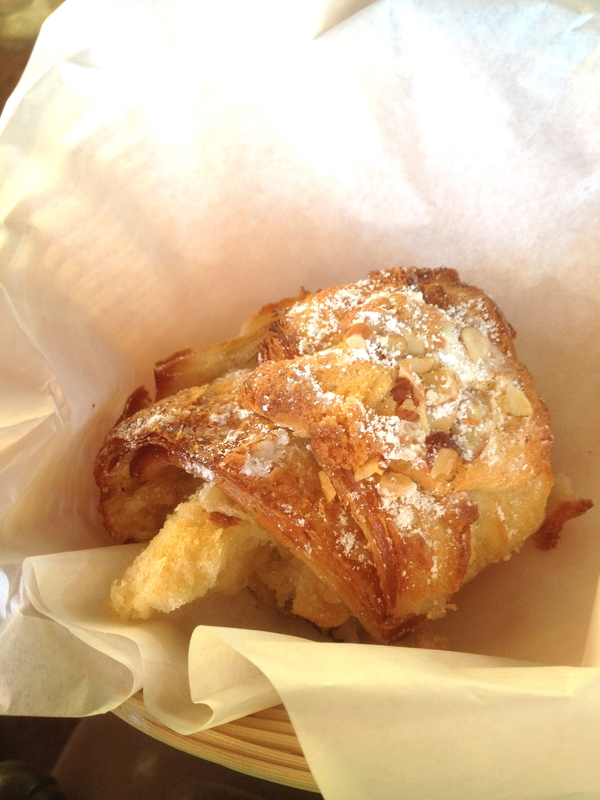 One of the nicest things about Le Rendez-Vous is that while the coffee is great, the food is better. For me, this means that if I am at the cafe to study or read I am able to have lunch and coffee in the same place without having to compromise the quality of either. 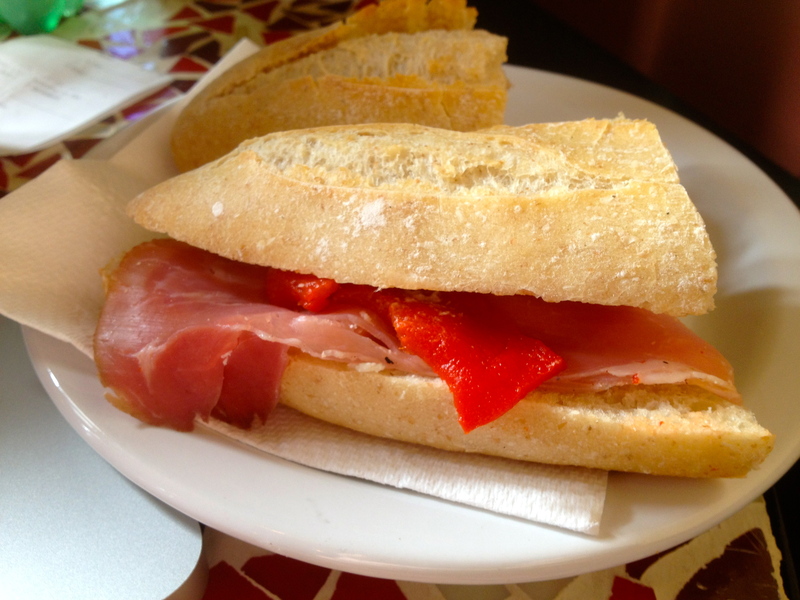 The sandwiches are made on some of the best french bread I have had outside of Paris and the pastries are to die for. 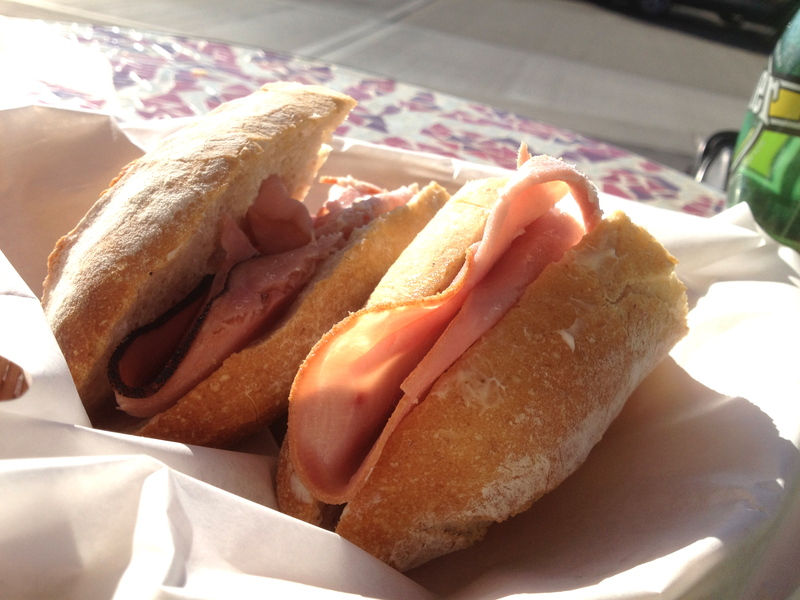 The Soleil Sandwich and Parisien are two of my favorites. The proportion of filling to bread is perfectly in balance and what one would expect from a french cafe sandwich and the ingredients are top notch. My favorite however, are her patries, amongst the best are the Almond Croisant, Pain au Chocolate and my absolute favorite, the Chouquettes. The latter are little hollow pastries made of Choux dough that are like our cream puffs but unfilled, then sprinkled with pearl sugar; they are light, not too sweet and incredibly addictive. These are sold in little bags of 10 just as you would find them in Paris. Finally one can not write of this place without commenting on the owners. They are a brother and sister team who came from a line of bakers in Paris and decided to move Redmond and open a french cafe. The sister seems to be incredibly proud of her cafe and is often seen working the front of the house, handing out free chouquettes and chatting up the customers. While she will remember you when you return, she is gracious and warm to all her customers making you feel instantly welcome. All these things, partnered with what seems to be the entire French expat community lunching there and speaking in rapid french, almost makes you forget you are in a strip mall in Redmond and transports you, if only for a moment, to an idealized Parisian Cafe. I am so grateful they decided to come to Redmond and open this wonderful cafe and I plan on becoming a frequent customer, if for nothing more than the chouquettes and a mini vacation.